East Hampton and Upper East are our low secure services for men with mental illness, and both support men experiencing complex mental illness and/or personality disorder. The services accept direct admissions from the community, from rehabilitation or acute services and from prison, however many people step down through the internal care pathway from the medium secure services offered at Cygnet Hospital Bury. Across all of our medium and low secure services, service users are supported by a dedicated multi-disciplinary team who work with people to assess their needs and create a discharge pathway to the community. Treatment is based on the principles of recovery including psychological therapies, occupational therapy, social therapy, physical healthcare and medication. Risk assessment tools are used and a clinical formulation is developed to inform the management plans for each patient. 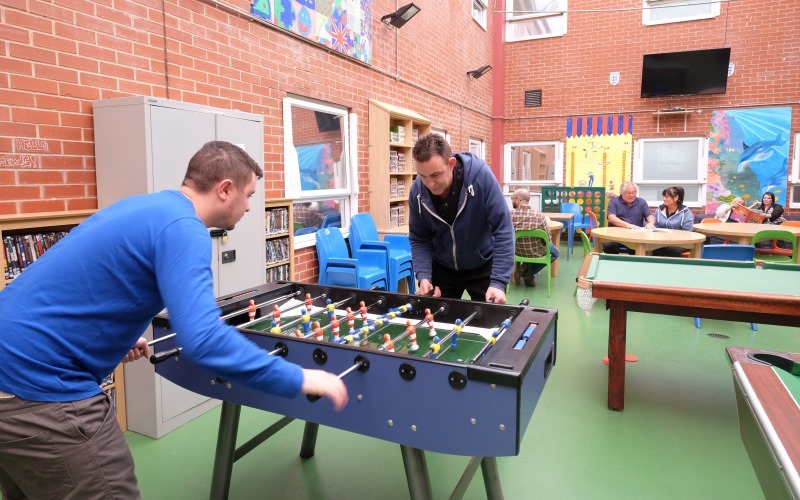 Service users are also supported by our psychology and occupational therapy departments in anger management, social skills development, daily living skills, healthy living, IT skills training, education and vocational development.